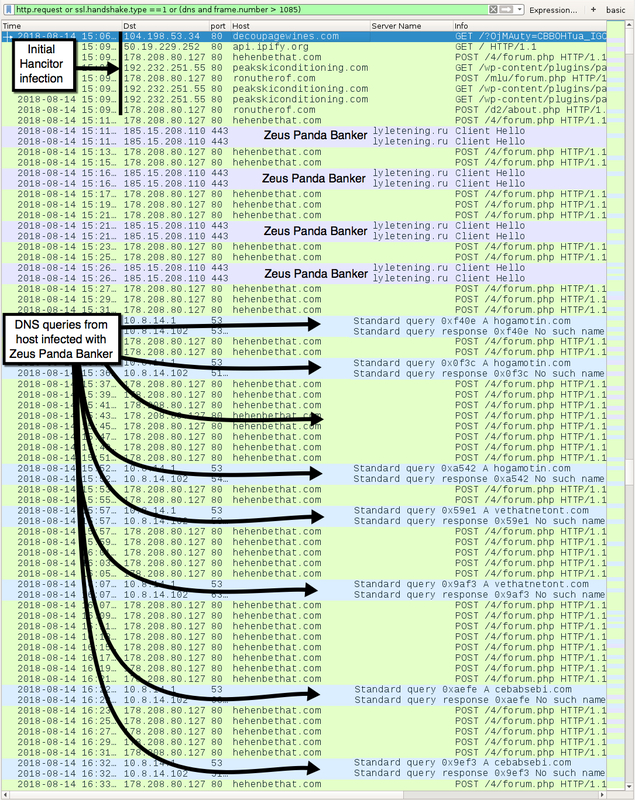 Saw some issues with Zeus Panda Banker from Hancitor infections in my lab this week. 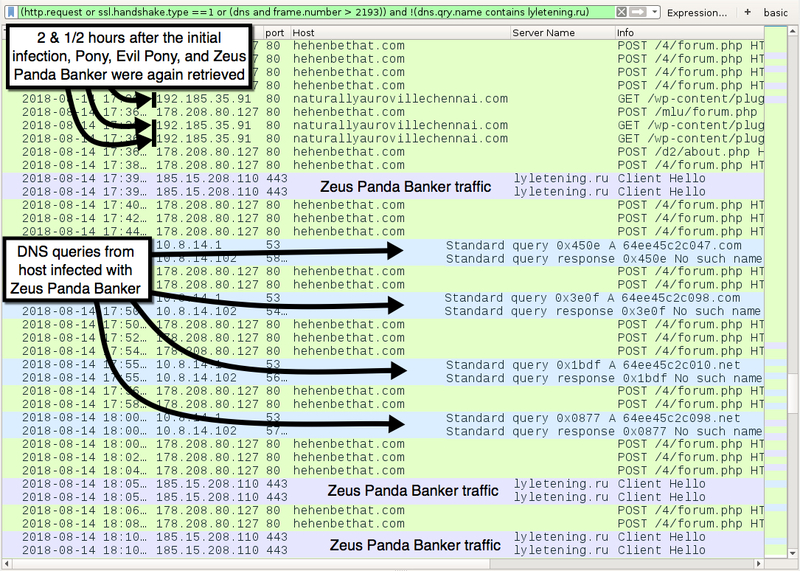 Not as much Zeus Panda Banker traffic, and several DNS queries from the infected host showed "No such name". 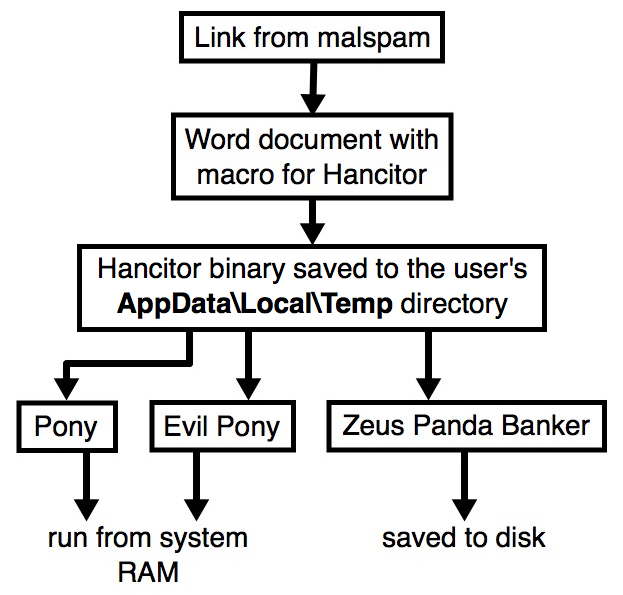 Otherwise, it's pretty much business as usual for Hancitor malspam. Shown above: Traffic from the same infection about 2 & 1/2 hours later.